In the grand history of evolution, feathered dinosaurs offer concrete evidence that birds evolved from a group of theropod dinosaurs that lived during the late Cretaceous. The theory is now well supported in the field of evolutionary biology, and popular science magazines like National Geographic have devoted plenty of article space to these wild, strange beasts of the Mesozoic. Archaeopteryx, one of the most famous transition fossils, has serrated teeth and a skull that clearly shows it was a carnivorous dinosaur. But the skeleton itself also has impressions of feathers that are similar in some ways to the feathers of modern birds. All modern birds are believed to be descended from these feathered dinosaurs. This means, of course, that dinosaurs did not actually go extinct 65 million years ago. When we see a small songbird perched on the bird-feeder in the backyard, we can be sure that his lineage extends back to the great theropod dinosaurs (like Tyrannosaurus rex) that lived all those geologic eras ago! My Dinosaurs is a quality company that has been producing animal models of all kinds for 20 years. The company makes a variety of products, including animatronics, static dinosaurs sculptures, and dinosaur/animal skeletons. All workers are highly professional and can create both life-size models and models built to scale. My Dinosaurs now manufactures animatronic feathered dinosaurs, which give people of all ages the chance to see what these creatures looked like and how they moved. 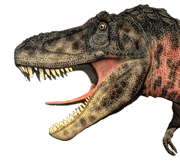 We are able to produce custom orders that mimic specific feathered dinosaur species while also adding roaring/breathing sounds, blinking eyes, swinging tails, neck turning, mouth movement, and claw movement. Our goal is to create life-like animatronic dinosaurs that are designed to stand the test of time–and impress even the most jaded teenagers! Feathered dinosaurs are ideal for all kinds of setups. They can be put in shopping malls, amusement parks, and even schools. Because the anatomy is so realistic, the models are excellent for display in science classes where teachers are trying to get their students to learn about the majesty of biology and the history of life on planet Earth. This entry was posted in Knowledge and tagged dinosaur with feather, feathered dinosaur.